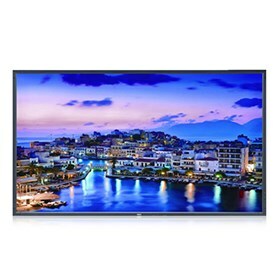 The NEC V801 is a 80" high-performance LED edge-lit commercial-grade display provided with integrated speakers. This display has 1920 x 1080 resolution that displays incredibly clear imagery. The LED backlighting technology used in this display reduces power consumption and allows for a slimmer cabinet depth. The V801 features expanded connectivity with digital loop-through. This monitor have 178° horizontal and vertical viewing angles and brightness of 460cd/m2 with 5000:1 contrast ratio. The NEC V801 has many exciting features for users of all types. See the NEC V801 gallery images above for more product views. The NEC V801 is sold as a Brand New Unopened Item.